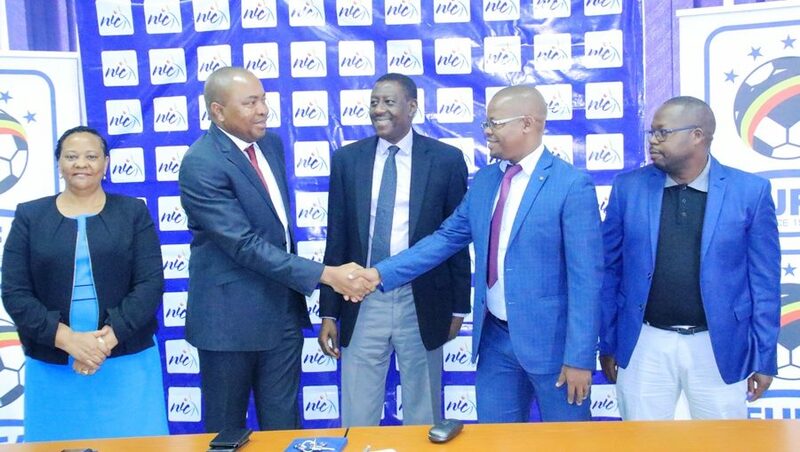 KAMPALA – National Insurance Corporation (NIC) Holdings Limited, on Thursday, unveiled a new and better insurance sponsorship package for Federation of Uganda Football Associations (FUFA). The package was unveiled at the NIC Headquarters in Kampala. It involved packages for the Uganda Cranes, the FUFA Junior League, FUFA Awards and FUFA Drum Tournament. NIC’s Managing Director Bayo Folayan, company secretary Elias Edu and Jocelyn Ucanda represented the Insurance company. “This package is in line with NIC’s continued support of sports in Uganda, we believe the youth are the future of the country and that is why this sponsorship goes a long way to support the efforts of government in the area of youth and sports development, said Bayo. “Our vision in supporting football in Uganda is to create an enabling environment for our footballers so that they too can compete on a global platform and rank among the best in the world’ Bayo stated. It is an improvement over the previous contract with FUFA. The new contract covers all players, coaching staff and team doctors against death and injuries resulting into permanent disability sustained while on official engagements. It also covers incidences during training as well as travels to and from matches and burial arrangements in case death occurs. The FUFA President, Eng. Magogo expressed gratitude towards NIC Holdings’s for their continued support rendered towards sport in the country. “I thank the National Insurance Corporation for supporting football since 2008 and other sports disciplines especially netball, said Magogo. “I want to thank NIC for fulfilling their obligations as signed in the contract. 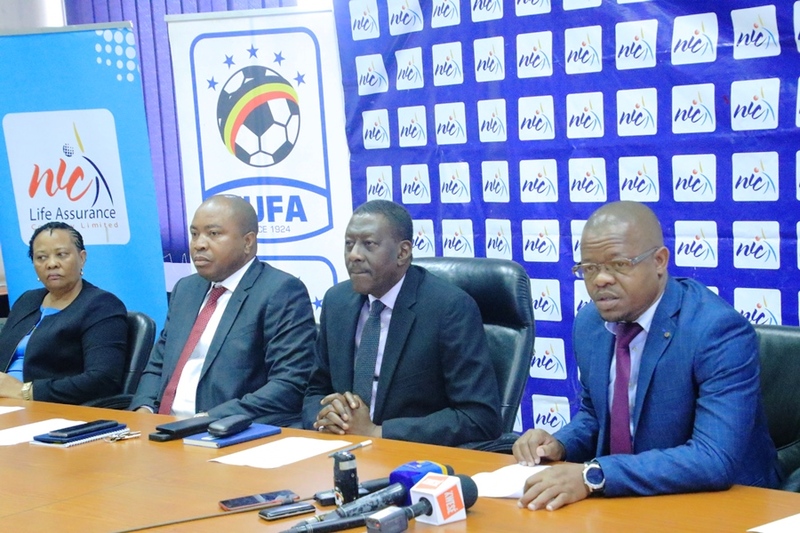 “This new package is even more exciting because it has the FUFA Juniors League and the FUFA Drum as well as the cash value of Shs 10M to the FUFA Awards and the generator.’ Eng Magogo. -The Uganda Cranes: 660,000,000 Shs annually. -The FUFA Junior League: 800,000,000 Shs annually. -The FUFA Drum Tournament: 960,000,000 Shs annually. -The FUFA Awards: 10,000,000 Shs annually.